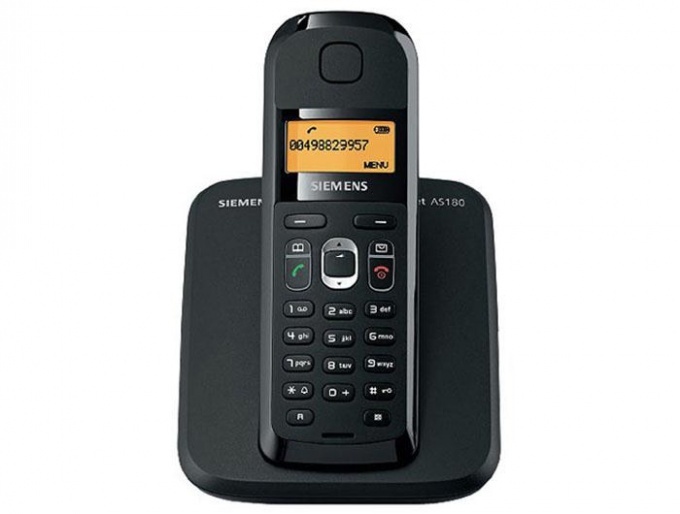 The cordless telephone consists of a base station connected to the telephone network, and one or several wireless tubes which receive signals via radio waves. The installation and connection of the radiotelephone everyone can perform on their own, without the help of experts, it is enough to know the basic rules. Determine the location where you will install the base radio telephone. As a rule, is determined experimentally. However, it is necessary to consider a number of factors. You should not place the device near the refrigerator, washing machines, microwave ovens or other appliances, which is executed in the metal case is a source of electromagnetic fields or heat. Telephone base should also not be exposed to direct sunlight or in high humidity environment. Read the instructions to the phone and find out the time required to charge the battery. After that, connect the device to the network and charge the battery. Press Page when the handset will be on the databaseto automatically set the security code. This procedure is repeated whenever the battery discharges or loses the connection with the tube, as in these cases, the code is reset. Click on the database button on the intercom which is typically located above the button "speaker". Hold position until the unit starts to beep. Menu handset Settings press the intercom. Select "Register handset" and press the corresponding number base, which is usually the first. Wait some time in order to establish the connection between the base and the handset. If the device will request a code, enter 0000 or the code specified in the instructions radiotelephone. Connect the phone base to the network through a modular connector and special adapter. Check the connection and try to call someone. If the conversation is not interrupted, the installation of the telephone base and connect the radio telephone were successful. 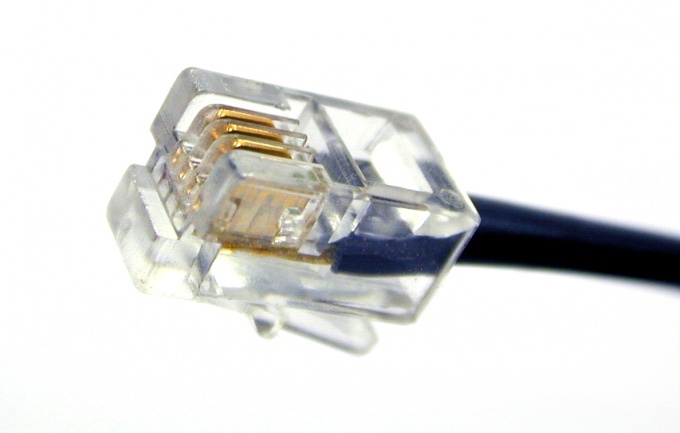 The need for splicing telephone cable occurs when it is open (e.g. during repair of an apartment), and if the phone socket moving to another place, and the cable must be lengthened. To be able to perform this operation every home should master. Remove the tube on parallel phone, which despite a broken cable left connected to the network. This will prevent the strike voltage ringing that may appear on the line in case of receiving an incoming call. If you only have one camera, or breakage happened in a place that was disconnected all the phones in the apartment, have to work in rubber gloves. Find the location of cable damage. If you visually can not find it, use contactless inductive fault finder. This device can borrow the telephone operator. If this is not possible, the cable cut, the break is unknown, it is easier and faster to replace the whole thing. For splicing the two-wire flat cable the old design with each of the parties will razdvoenie "noodles" along the cutters so that the cut line was exactly in the middle. Tips to gently clean. Remember that insulation "noodles" is not made of PVC, and polyethylene, so when you sweep accurately calculate the effort to remove only the insulation without damaging the conductor. One of the wires of one end of the cable connect with any of the wires other end. The polarity is correct when it is unnecessary. Then do the same and mix with the remaining wires. Carefully insulate the joints from each other. Then verify that the numbers, which after breakage stopped working again. Telephone cables of the new design have an outer shell, within which are laid in a row two or four stranded conductor, each of which has its own colored insulation. The outer shell is easily removed with almost no risk of damage to insulation of conductors. If the cable is two-wire and the procedure for splicing is same as for the "noodles". Four-wire cable, which is more common, repair the following: last wire in the series will not connect or even not clean because they are not involved, and the wires in the middle, crystite in the manner described above. If the line is connected to a special telephone designed to work simultaneously with two lines (they are found, though rarely, in the offices of the leads may also be involved. Splice into this line, simply connecting the conductors of the same color. After work and making sure that all the phones are reconnected to the line, place the handset on the device from which you removed before working.